Books added every day, a steady 1000 books daily (trend line is a 30 day moving average). 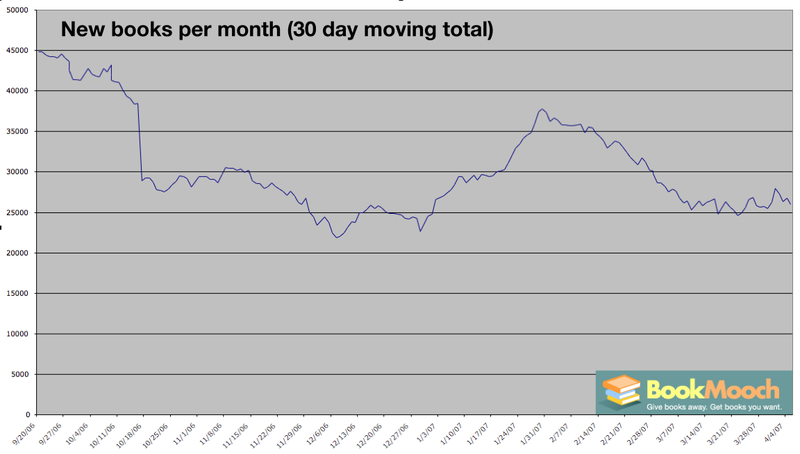 Note that it’s been declining a bit lately, probably because of the greatly increased mooching. All the charts were made from the “csv export” option at http://bookmooch.com/about/stats_choice and then imported into Excel to make a quick and dirty chart. Above is a chart of mooches per day. We’re up to about 1000 book mooches every day. 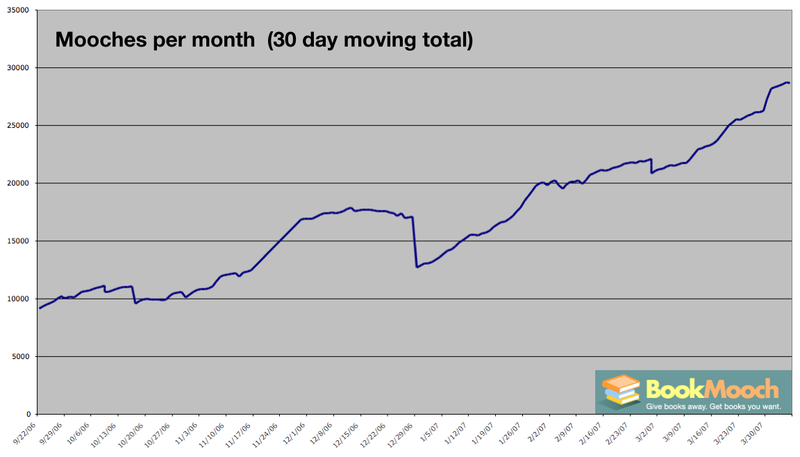 We’re seeing about a 30% monthly growth in mooches (27.47% last month). New members per day look to be a steady 90 every day. The trend line below is a 30 day moving average. mooched, one is bought on Amazon” or a 3.31% purchase rate. given that web site usage has gone up since we launched. The stats for people using BM by country are similar. I made some new kinds of charts to show trends better. 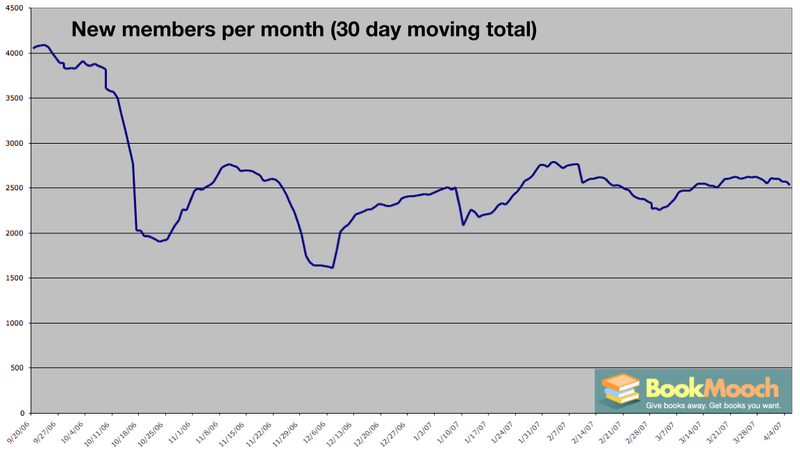 The charts below are 30-day moving totals of mooches per month (30,000/month), new books per month (25,000/month), and new members per month (2500/month). What these tell me is that I need to do more to get more members and books, since the mooches per month is growing quickly (28% growth per month) but the other two metrics have linear growth. Things are going well, but I’d rather that the growth rate also be increasing to keep up with the increasing mooch rate. My plan is to have this kind of chart built into the charts page.